Currently, we as world citizens rely on finite resources like fossil fuels to meet our energy demands. As these resources diminish, we will have to find new ways to sustain our energy needs. Fortunately, one form of green technology is providing a solution: solar power. What’s more, the solar energy industry is thriving, ensuring we will have access to this renewable and environmentally friendly source of energy for years to come. 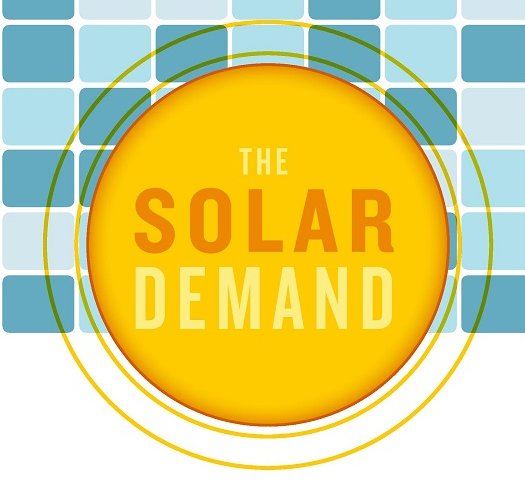 As this infographic that The Refrigeration School created, titled “The Solar Demand,” illustrates, solar is the fastest growing segment of renewable energy. There are several reasons why solar power is increasing in popularity. First, solar energy technology is becoming more feasible to attain. While it is still not the cheapest option, the price is decreasing, allowing more people access to this energy source. Since 2011, the price of solar panels has decreased almost 60 percent. Now, many consumers can afford solar energy technology: in 2012 alone, there was nearly a 50 percent increase in the number of systems installed in the U.S.
Another reason for the growth in the solar industry is that many corporations are taking advantage of this green technology. As this infographic indicates, some of the corporations making strides include Staples, Kohls and Google, as well as Walmart and Apple. The government has made way for this technology to thrive by offering tax breaks and funding in certain sectors. If you want to install the technology in your home, take a look at the investment tax credit and see what the government is offering to people just like you. Solar energy is taking off and before long it could be our main energy source—and consumers are not the only ones who could benefit from such a transition. The growth in the solar industry has provided many jobs in this sector. Not only can you join this green technology revolution by installing solar in your home but you can also contribute to its growth by placing solar panels in other homes and businesses as a career. The states with the most growth include California, Arizona, New York, New Jersey and Massachusetts. Solar may have started at the fringe of the economy, but soon it could be everywhere around the globe.